Maybe i should have published the topic of this blog couple of years back.Now that people are more interested in microblogging.I am writing this post for the people who have no idea of blogging or have never heard of Adsense.If you want to make money online, you have to work really hard.I have made assumptions that you have a PC/imac/Notebook/Macbook with internet connectivity.You are expecting your earnings from blogging to be a supplementary revenue stream and you are ready to sacrifice three to four hours a day for making this to work. You should be serious with your new endeavour.Set aside minimum 3 hours.Like all other things in life, blogging also is not for the lazy ones. 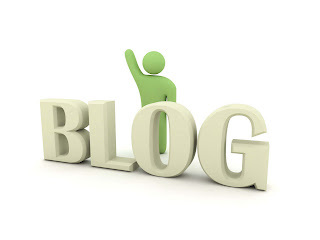 It is a webpage on the internet through which you communicate to your users.Ideally a blog is a platform used by users with no or little technical knowledge.They write articles called posts.These posts are displayed one after another.The crux is you write blogpost like you write a diary.You can communicate to any number of people through this blog.It is a powerful medium to communicate your propoganda to the world. If you have a smart idea, which you want to share to the world.Ofcourse blogging is the platform on which you can do that. This is a must.You have to write killer articles that grabs the eyeballs and mind of the visitor.You should know that you are writing to a website visitor.A website visitor will always have less time to surf.So write to the post.Do not make him bored because he is a hopping creature.He would prefer to leave your site rather than read your boring article. Plagiarism or content copying is the bad practice in blogging.Temptation can arise to make inexpensive content by copying.You got to know that it wont help you in your path to a popular blog with lots of visitors. Why you should write original blog posts? Google and other search engines are the entitites that brings web visitors to your website.They do not like plagiarism.Since search engine bots will be visiting the original content site also, they know that you copied.Ultimately they will send less visitors only. Ok guys ......Once you decide on the topic........research for a domain name.Because a domain name is a must for your new blog.This is because if your domain name is a toplevel domain,your visitors can remember the domain. You can always start with site.blogspot.com or site.wordpress.com but ultimately you should be shifting to site.com .If you got some way to pay online or through paypal, you can register your domain at Register.com.It costs about 10 dollars there. For those in india,i do not prefer sify.com .Because i am using them and have user experience.Once i send them DD for registering a domain.It was back in 2007.They didn't do it.When i enquired, i was told that they have recieved the DD and they want some changes in the DD.Despite my repeated calls, they preferred to trash the DD and i lost my 350 rs then.I was not having a credit card then.So i was finding difficult to purchase online.My brother-in-law had a credit card.I requested him for the credit card so that i could buy online.He shared me the credit card number and i bought the domain.I sent him the cash by money order from a post office at trivandrum.Later this person (brother in law) was furious about sharing the credit card.I didn't knew that he was sharing the cc number unwillingly.He insulted me very much in this issue.The only purchase i made with his cc was Rs 350 worth sify domain.I repaid him the money on the same day itself.Still he was very furious and viewed me like a person trying to do something fraud. So my advice is if you want to take a help from a person, you study him well.People are complex things.You wont learn much about them from the first impression.Never associate with crooked people. Use Sify domains only you find it difficult to pay other domain registrars.I had some money in the paypal account when i started out.I didn't had a credit card that time.So what i did was i found a domain registrar who accepts paypal.It's name is dynadot hosting.They offer excellent service.Cost would be little higher than the others.You got to know that changing registrars is possible but have some headaches associated with it.Think well before choosing your domain. An update from Digital Tyke: Our Guest blogger Dr. Anish Kumar is getting married in September 2010.Hope he will share something about his marriage.